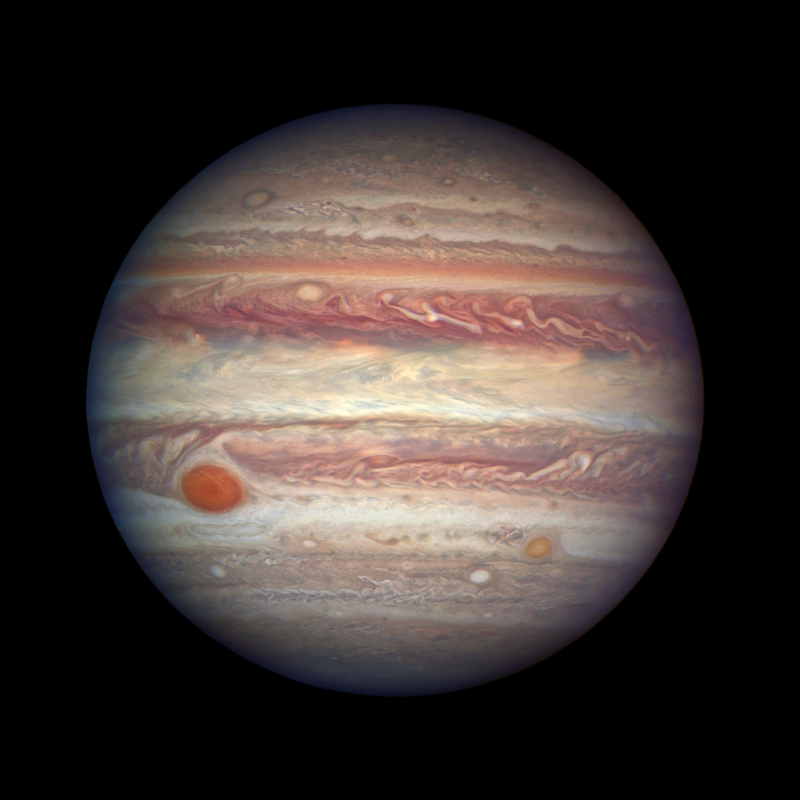 On April 3, 2017, as Jupiter made its nearest approach to Earth in a year, NASA’s Hubble Space Telescope viewed the solar system’s largest planet in all of its up-close glory. At a distance of 415 million miles (668 million km) from Earth, Jupiter offered spectacular views of its colorful, roiling atmosphere, the legendary Great Red Spot, and its smaller companion at farther southern latitudes dubbed “Red Spot Jr.” Taken with Hubble’s Wide Field Camera 3, the image resolves details in Jupiter’s atmosphere as small as about 80 miles (129 km) across. Contrast-enhanced version of the 4/3 Hubble image. 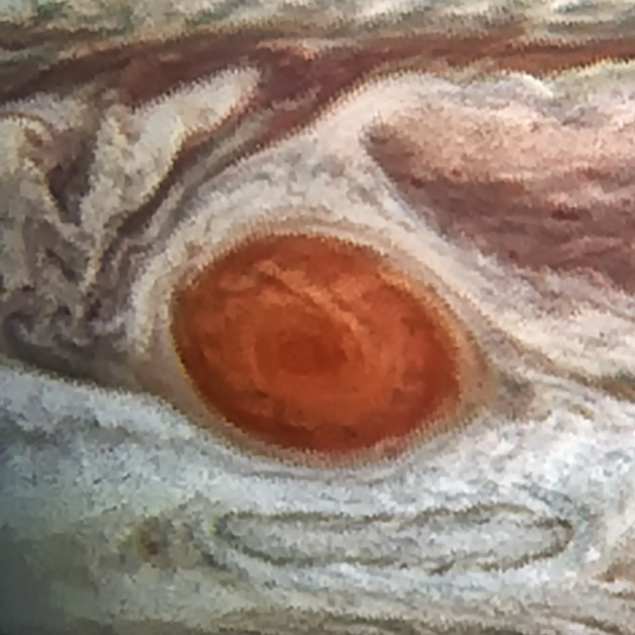 I particularly liked the structure visible inside the Great Red Spot (GRS for short). This storm is easily twice the width of the Earth! 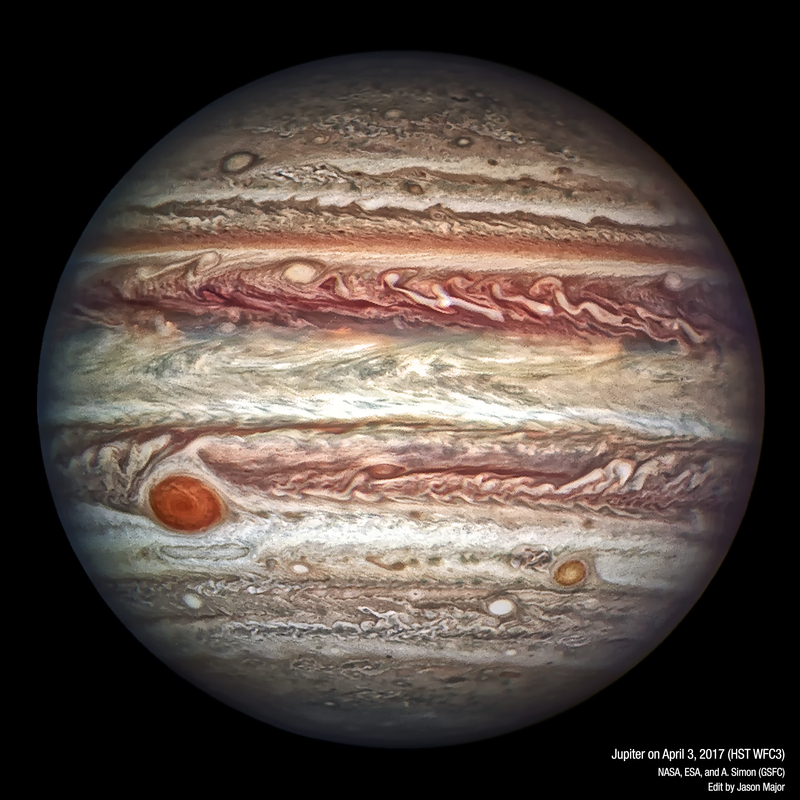 Jupiter passed opposition on April 7, so now is a good time to view Jupiter as it’s at its closest point to Earth for 2017. In even a small telescope or binoculars the major cloud bands can be seen, as well as its four largest moons. That’s beautiful. I am going to try watercoloring it.